(1) January 21, 1817, Sarah Watts, daughter Captain David and Mary (Cressey) Watts of Buxton, Maine. She died 1847 at 53. Member Congregational Church. (2) January 7, 1849, Sarah J. Harding, daughter John and Temperance (Hartford) Harding of Baldwin, Maine. 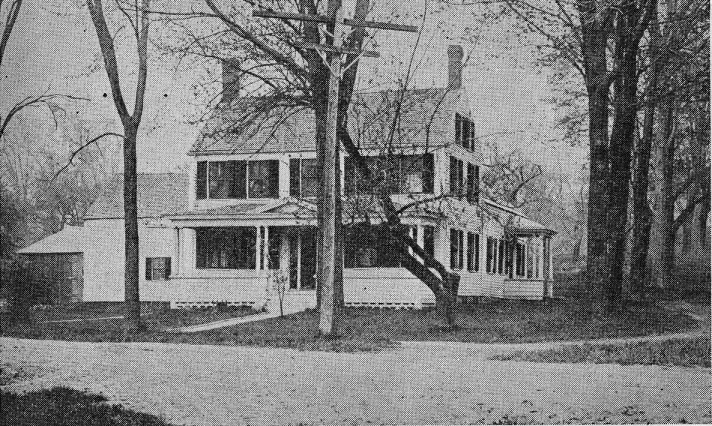 He taught school when a young man, lived for a time on the Fort Hill Farm, and in 1837 bought out his brother, Noah, on the West Gorham Road; later in life he lived in Gorham Village. He kept a tavern and put up ox teams and their drivers before the railroads were built. Was a soldier in 1812 War in Captain Barnabas Higgins' Company and General James Irish's Brigade. Was collector of taxes in Gorham for several years. Was member First Parish Church and collector of the parish. He had quinsy of the throat and was ever after called whispering Joe. His widow was an invalid 10 years, a widow 46 years, and a pensioner of the 1812 War. He died February 8, 1858, at 70. She died December 1904, at 84. Rev. 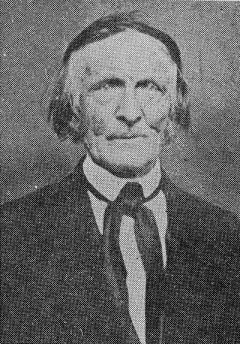 Charles H.7 Cressey born November 21 in Gorham, Maine, 1817, married (1) Sarah Anderson, (2) Emeline Anderson. Emily7 (Cressey) Smith born December 23, 1824 in Gorham, Maine, married November, 1851, Thomas H. Smith, Buxton, Maine. She died 1855. He died 1885 in 66th year. 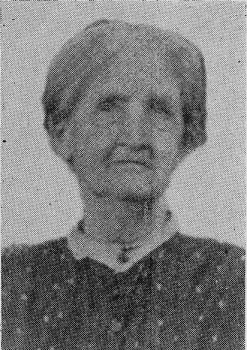 Emily Smith, born 1855, died young. William Wilberforce7 Cressey born October 1, 1828 in Gorham, Maine, married Frances E. Rounds. Mary E.7 Cressey born October 29, 1835 in Gorham, Maine, unmarried, died 1866. Edward K.7 Cressey born March 12, 1838 in Gorham, Maine, died 1863. Sarah Ellen7 (Cressey) Giddings born February 21, 1853 in Gorham, Maine, married 1883 Fred A. Giddings, Exeter, New Hampshire, trade mason, selectman and Representative. She is daughter American Revolution and a real daughter of 1812. Member First Parish Church. Gave Gorham Fire Department $50. John Harding7 Cressey born January 3, 1857 in Gorham, Maine, unmarried. He worked in a carriage factory and later was a barber for 40 years in Gorham Village, Maine. A good, peaceable man, died January 15, 1930.